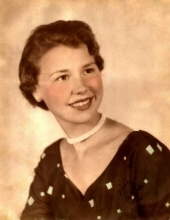 Patricia Mae Hobbs, 78, of Chapmanville, WV., passed away Tuesday, February 5, 2019 in Parkersburg, WV, while at Camden Clark Hospital. She was the daughter of the late Jesse and Flossie Hensley of City View, Logan, WV. She was also preceded in death by 3 of her 7 siblings; Bobby Hensley, Holly Hensley, and Peggy (Hensley) Adkins. Also preceding her in death was her daughter Mary Beth (Hobbs) Collins of Cottageville, WV. Pat loved all her family and friends. She was a wonderful wife, mother, grandmother, great grandmother, sister, aunt and friend. She was always kind to everyone and loved going to church and singing gospel music. She was truly a blessing to all who knew her. She will be missed by all who knew and loved her. She is survived by Jack and Donna Hobbs of Marshall, Texas. Also, she is survived by four of her 7 siblings: Joe (June) Hensley, Donald (Ernestine) Hensley, Larry (Doris) Hensley, and Janet (Luke) Burgess, all of Logan, WV. She is loved by all her grandchildren; Ginniffer and Heather Hobbs, Robbie and Tiffney Vincil, Shelbie Kattner, and Dino Collins. And by her great grandchildren; Raygon, Ryeland, Ruby, and Russell Hobbs, Haydrian and Kaylin Vincil, Tristen and Jaden Vincil, Ien Highlander, Jazmine Beth Riddle, Jackson Cole Riddle, Mason Ray and Oaklynn Collins. Viewing will be held at Honaker Funeral Home in Logan on Saturday, February 9, 2019 at 12:00 pm with services at 1:00 pm. Entombment will follow at Forest Lawn Cemetery. To send flowers or a remembrance gift to the family of Patricia "Pat" Hobbs, please visit our Tribute Store. "Email Address" would like to share the life celebration of Patricia "Pat" Hobbs. Click on the "link" to go to share a favorite memory or leave a condolence message for the family.